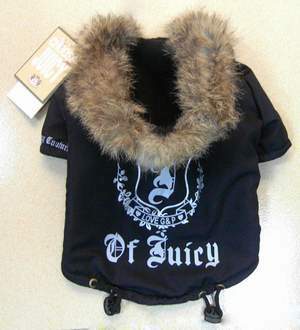 This Juicy Couture Inspired JUICY black dog coat parka is super soft and warm for your little one! It is lined with soft fleece withcopy fur trim around the hoodie. It has a draw string around the bottom to keep your poochie cozy. The sleeve reads "Doggie Couture."